Established in 1996, this Singapore-based agency is a reliable and efficient resource for security services. The company has acted as a security consultant in a number of high profile events, including the Asian Youth Games. The company has a total strength of 500, comprising of 200 full-time employees and 300 part-timers. 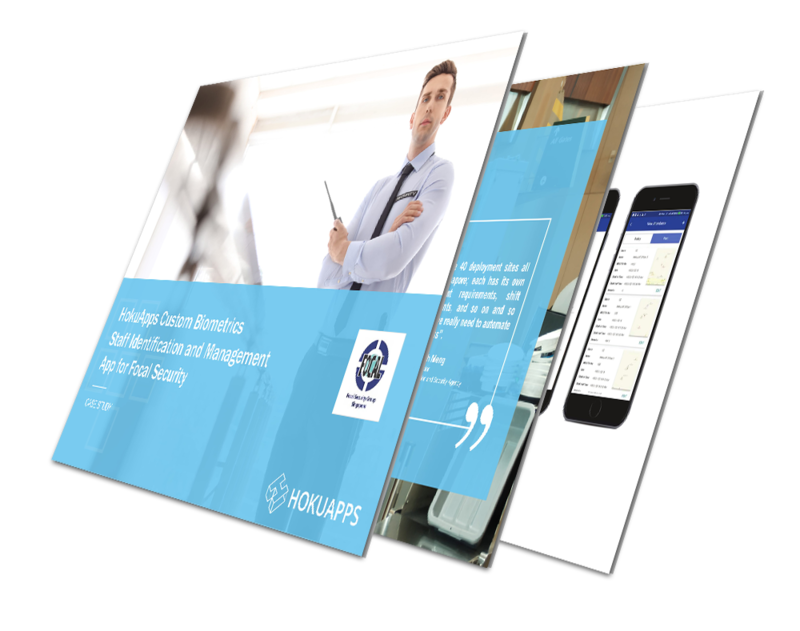 The system designed by HokuApps leverages the digital biometrics identification system that accurately monitors the on-field employees and helps manage assignments and logins, thus, eliminating human error in the process.